Beyonce and Jay-Z visited Havana, Cuba to celebrate their fifth weddingÂ anniversary and many Cuban-Americans are outraged, Huffington Post reports. Cuba is a communist nation and America’s 51-year embargo makes it illegal for U.S. citizens to travel to Cuba solely for tourism. ButÂ travelers can visit the country legally by obtaining a “cultural exchange” license. The U.S. Treasury Department’s Office of Foreign Assets Control, which approves travel to the country, would not comment onÂ whether Beyonce and Jay-Z got approval for their trip. 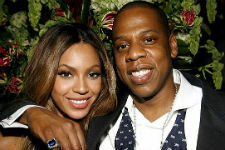 Mauricio Claver-Carone, the Executive Director of Cuba Democracy Advocates in Washington, D.C., a group dedicated to promoting democracy in the Caribbean country, told TMZ that Beyonce and Jay-Z failed to educate themselves on Cuba’s human rights violations before making the trip. “It’s extremely insensitive,” he said.